The University, a renowned bastion of knowledge, attracts the brightest minds to unravel the mysteries of enlightened sciences like artificing and alchemy. Yet deep below its bustling halls lies a complex and cavernous maze of abandoned rooms and ancient passageways - and in the heart of it all lives Auri. 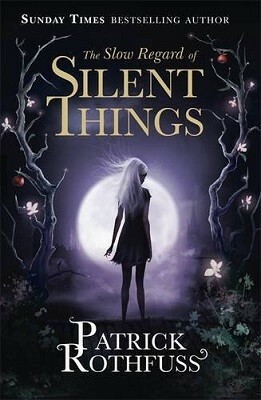 At once joyous and haunting, THE SLOW REGARD OF SILENT THINGS is a rich, atmospheric and lyrical tale, featuring one of the most beloved characters from Rothfuss' acclaimed fantasy series.